Remember the first time you went to Lollapalooza? The extravaganza turned 25 this year, and to help celebrate the milestone anniversary, Toyota hosted the 25th Hour (#25thHour), a surprise concert featuring breakthrough Grammy-nominated recording artist Leon Bridges and Outkast rapper Big Boi. 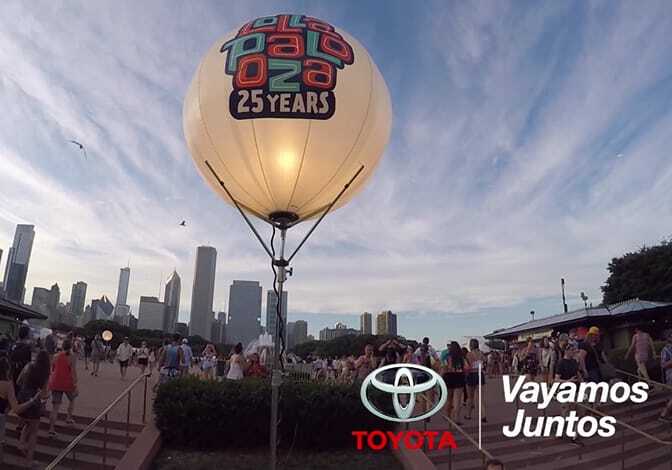 The exclusive, pop-up concert was accessible only to Lollapalooza festival-goers who used Toyota’s limited-time “golden ticket” Snapchat geo-filter. Toyota’s innovative invitation strategy marks the first instance of a Snapchat geo-filter being used to qualify entrance for an event. 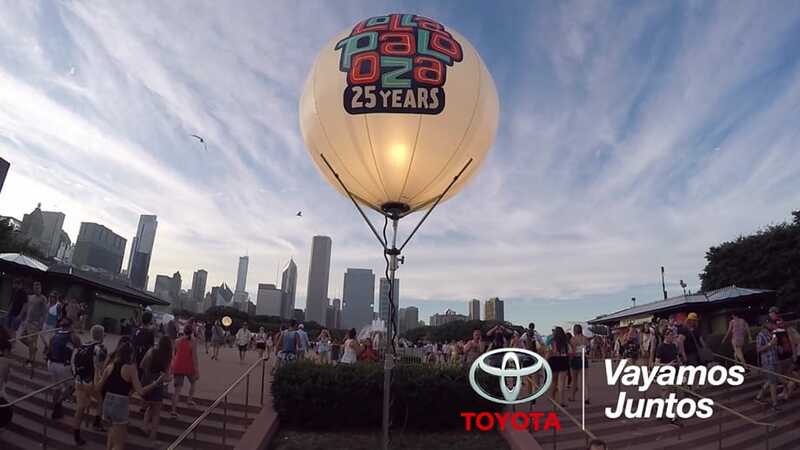 The private concert – hosted at Venue SIX10 and featuring a fleet of Toyotas for safe rides home – was the culmination of Toyota’s Lollapalooza presence. The Toyota Music experience – an interactive engagement featuring an array of vehicles and music-inspired activities at the Toyota Music Den, a special stage for up-and-coming artists performing short sets last weekend. Joining Toyota on the musical journey were Singer and actress Becky G., singer and composer Carla Morrison, dance music duo Adventure Club, and social media photographer Bryant Eslava, who are sharing their experiences through an immersive 360 video and a photo series titled Becoming Lolla, which aims to narrate the history of Lollapalooza from its inception through the 25th Hour. Additionally, as part of an ongoing partnership with VH1 Save the Music, Toyota brought back a distinctive interactive installation that has travelled to several music festivals throughout the U.S. in 2016. The art piece invites festivalgoers and artists to write their answer to: “What Does Music Mean to You?” Festivalgoers can share their participation in the activation space via social media using #ToyotaGiving to show their support, while simultaneously increasing music education awareness. At the end of the festival run, grants will be presented to three schools in the Chicago area. “We’re grateful to the VH1 Save the Music Foundation for continually supporting music education and feel honored to give back to the Chicago community in support of the arts,” said Tyler McBride, engagement marketing manager for Toyota. Lollapalooza is the fifth installment of the 2016 Toyota Music experience. The interactive on-site activation launched at the Stagecoach festival in April and continued at the Country 500, Sasquatch and Firefly Music festivals. It will culminate in October at the Voodoo Music + Arts Experience in New Orleans.